Founded in 1994 by experienced attorney William O. "Bill" James, our law firm has helped thousands of Arkansas citizens assert their constitutional rights and maintain their freedom. Since we focus solely on criminal defense cases, we have the knowledge and skills to handle any case regardless of the complexities involved. Although we are one of the largest criminal defense law firms in Arkansas, we provide each client with personalized attention tailored to that client's specific needs and circumstances. Our attorneys have over 40 years of combined legal experience, and each has a unique set of skills, such as fluency in Spanish, that he or she brings to the table to better serve our clients. By working as a team, our law firm's attorneys provide the best and most effective defense strategies possible. Additionally, our law firm has extensive appellate experience, and we will fight on behalf of our clients all the way to the U.S. Supreme Court, if necessary. 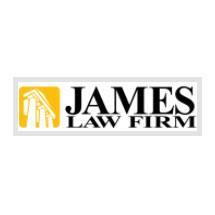 With its diverse group of legal professionals and years of success, the James Law Firm is ready to assist anyone who needs affordable, aggressive defense representation.